Last summer, Drew Estate unveiled three smaller vitolas for Liga Privada No. 9 and T52 lines—Corona Viva, Short Panatela, and Petit Corona—plus the Unico Serie Nasty Fritas. “The Nasty Fritas utilizes a Connecticut Broadleaf Oscuro wrapper and a plantation-grown Brazilian Mata Fina binder over Nicaraguan and Honduran fillers,” read a press release dated from July 2018. “Like the Papas Fritas, the Nasty Fritas filler tobacco incorporates leftover tobacco leaves that are short cut through the manufacture of Liga Privada No. 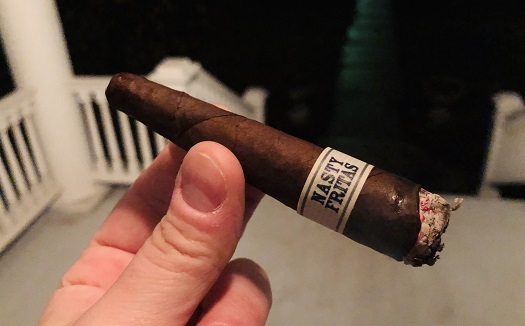 9 and Liga Privada T52 cigars.” Nasty Fritas is a “conical vitola” measuring just shy of 4 inches long with a ring gauge of 52 at its widest point. It is sold in 50-count boxes for $325, or $6.50 per cigar, and features a pigtail cap and closed foot. The burn line is a bit temperamental, but the flavors—cocoa, coffee, and the hints of sweet grassiness that are (to me, at least) synonymous with Liga—are enough to merit a recommendation. Few brands have earned the across-the-board high ratings as My Father Cigars. 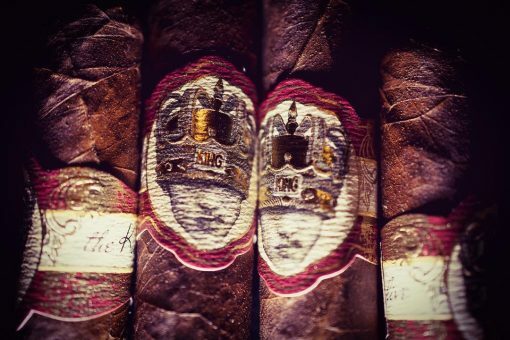 Launched in 2008, My Father is owned by the Garcia family and showcases the cigar blending skills of Don José “Pepin” Garcia and his son, Jaime Garcia. In 2014, the brand announced a new addition, its first-ever cigar featuring a Connecticut wrapper. My Father Connecticut (or “Edition CT”) features a Connecticut-seed Ecuadorian wrapper. The Nicaraguan binder and filler it surrounds are grown on the Garcia family’s farms. 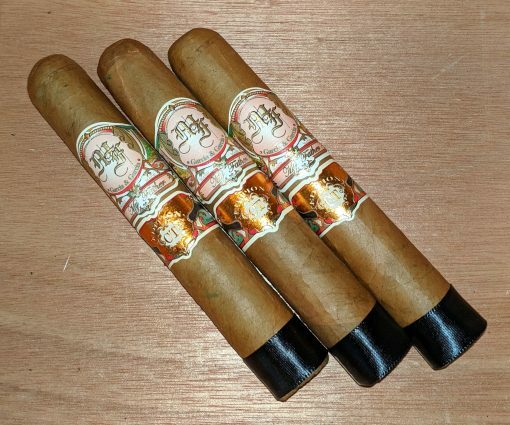 My Father Connecticut comes in four sizes: Robusto (5.25 x 52), Toro (6.5 x 54), Toro Gordo (6 x 60), and Corona Gorda (6 x 48). I smoked three of the Robustos, which retail for around $8 each. The tan wrapper with few visible veins surrounds a cigar that is neither overly firm, nor particularly spongy. The draw is open and the cigar’s combustion qualities are superb, with a even burn and ash that easily holds for an inch. The cigar features a combination of leather, hay, butter, hints of fresh clipped grass, and a white pepper spice. As it progresses, the spice fades as wood and earth notes become more prominent in the complex, medium-bodied profile. Coffee, cinnamon, and cedar spice linger on the finish. My Father Connecticut is another well-made addition to the My Father portfolio, though its occasionally unbalanced flavors lack the sophistication and complexity of many of the My Father blends that came before and after. 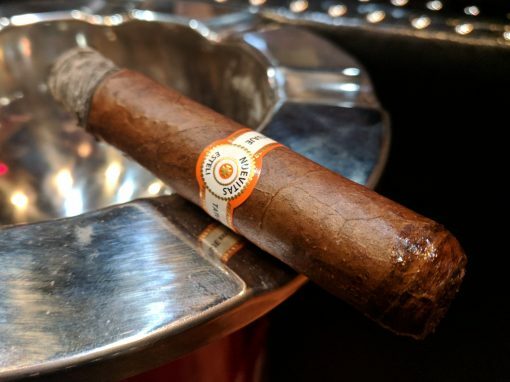 Hardly your grandfather’s mild, bland Connecticut-wrapped cigar, the My Father Connecticut Robusto earns a rating of three and a half stogies out of five. Think you love cigars? Let’s put your adoration to the test. Go out and smoke a cigar in the cold. And, no, I don’t mean 40 degrees. I said cold. 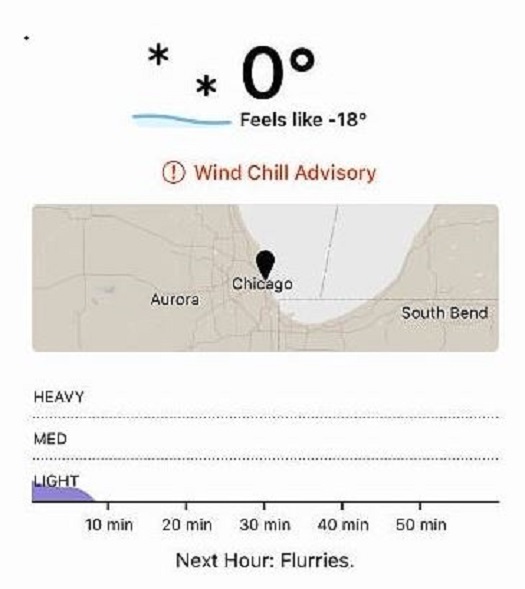 Let’s put it at 20 degrees or less (not including windchill). Bundle up, plant yourself in a chair with a cup of hot (not for long) coffee, and fire up a smoke. If you’re sitting still—and if you’re not cheating with, say, a heat lamp or something—I bet you won’t be able to get through a toro. Maybe not even a robusto or a corona. At some point in the process, you’ll find yourself pondering the futility of the exercise. Isn’t the whole idea behind cigars to enjoy yourself? How can you fully appreciate the enticing aromas, delicious flavors, and handmade craftsmanship when your core bodily processes are shutting down and frostbite is trying to take hold of exposed skin? How can you revel in the complexities of the profile—which surely includes anise, cream soda, and pencil shavings—as your shivering turns into slowed, shallow breathing and, eventually, total loss of consciousness? Maybe you never have to ask yourself these questions. Perhaps you live somewhere where it never gets legitimately cold, at least not for a whole season. Or, if you do, perhaps you can smoke inside your home. Or there’s a good lounge nearby with decent hours. Or perhaps you commute via car and don’t mind smoking in your vehicle (side note: smoking a cigar while driving is not all it’s cracked up to be). 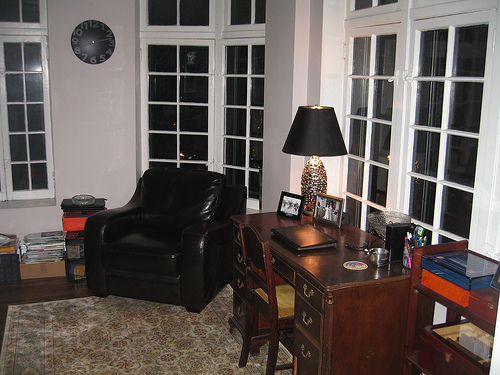 I used to have a cigar room in my condo in the city.. Now I have a bunch of kids and a house in the suburbs. Personally, I live in Chicago. Winter can be rough, and this one is no exception. I have three small children and no place to smoke inside my home. There are a few lounges nearby, but the hours typically don’t work for me (it’s usually 10:30 PM or later by the time the kids are all asleep, the dishes are done, etc.). And, while I’m often on the “L” or on my way to an airport in an Uber, I’m rarely in my own car. So where and when do I smoke, you may ask? Honestly, I smoke much, much less in the winter. I really don’t have a choice. It may not be fashionable for a member of the online cigar media to admit this, but it’s true nonetheless. When I do smoke, it’s usually one of two things: (1) I’ve gotten permission from the wife to be at a lounge for a couple hours, which is a welcome respite that will have to be repaid in some (often painful) way, or (2) I’m traveling for work someplace warm and/or there’s a late-hours lounge nearby. I write this not to ask for your sympathy (I don’t deserve any, and I’m not complaining) but to share a few unintended consequences of my wintertime lull in cigar smoking. First, when you smoke less, you enjoy the cigars you do smoke more. The law of diminishing returns is absolutely at play here. If you smoke cigar after cigar after cigar, the next one won’t be nearly as enjoyable. Anyone who’s ever gone on a cigar rampage—or taken a leave of absence—would probably back this up. Second, having fewer opportunities to smoke results in a renewed focus on deciding what to smoke. Time is more precious, and the cost of making a bad decision is higher. In the winter, I’m likelier to turn to old favorites and shun new experiences. Any new cigar that gets selected is often the result of a fair amount of review-reading—or, at least, much more research than would be required in the summer. Finally, less time to smoke should mean more time for something else. In my case, the inability to smoke as often as I would like has not extinguished my passion for cigars. So I’ve been catching up on cigar-related reading (both mainstream publications and, yes, other websites), making some purchases, organizing my inventory, and keeping the humidors functioning properly (which is no small task this time of year). I guess you could say I’ve come to terms with a seasonal approach to cigar enjoyment. That being said, where the f*#k is spring, and when will it get here? One of Pete Johnson’s first cigars, the Tatuaje Nuevitas was one of the few not made by Don José “Pepin” Garcia. The original was made at Tabacalera Tropical until 2007. The reintroduced version (introduced last year) is made at the Garcia family’s My Father Cigars factory in Estelí, Nicaragua. The robusto (5 x 52) is a Nicaraguan puro wrapped in a Corojo ’99 wrapper. The cigar features medium-bodied woodsy flavors with notes of leather, honey, and light baking spices. Construction on the $8 cigar was flawless. 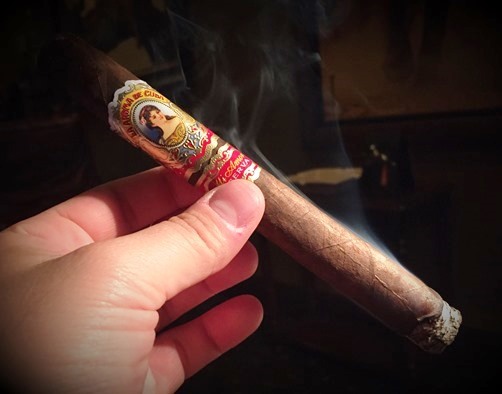 This La Aroma de Cuba creation measures 6.9 inches long with a ring gauge of 50—making it a good deal longer and thinner than my only previous experience with this blend, the Maximo. Once the dark San Andrés wrapper and Nicaraguan binder and filler tobaccos are lit, the Romantico starts pleasantly enough with notes of cocoa, gritty earth, a little black pepper, and creamy peanut. There are few changes throughout the well-constructed smoke, though I don’t necessarily consider that a negative. This cigar has loads of elegant flavor. I don’t regret paying north of $11.